Whether you play professionally or just for fun, who doesn’t love to play a little soccer! With our LED impact activated soccer ball you are no longer restricted to daytime hours. You can play late into the night after the sun goes down! 2 internally powered red LED lights turn on for 15-30 seconds upon impact, and constantly stay lit with additional impacts. 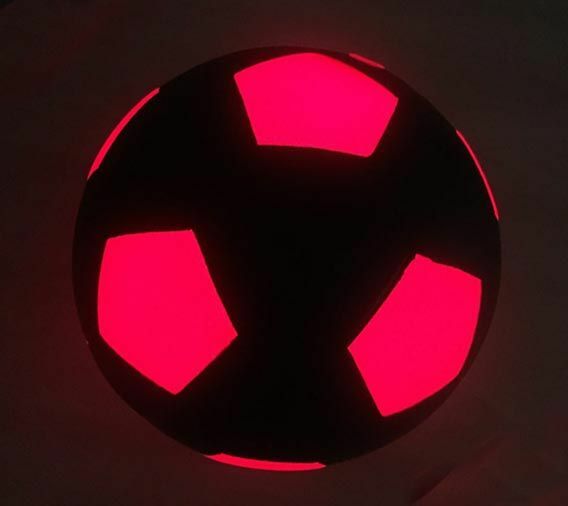 Each soccer ball is a #5 official weight and size ball that uses a semitransparent durable rubber that allows the LED light to shine through brightly. Long lasting AG13 batteries power each LED insert. Get yours today and have the most amazing soccer game of your life!